Copy/Paste function is perhaps one of the most used functions on Windows 10 PC. Simple, yet powerful, this function can be further improved by using a Clipboard Manager software that offers speed and efficiency. It cuts down the time you spend looking for text snippets. 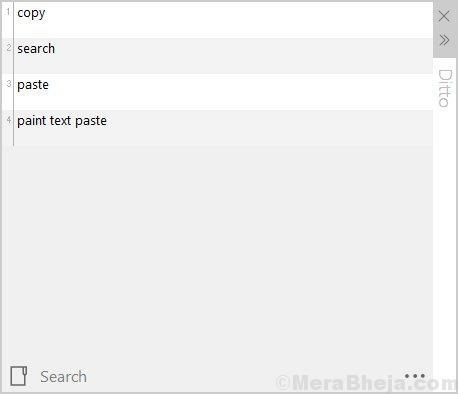 Whenever you copy/paste text or image, it’s saved in the Clipboard automatically. You can use this stored data in Clipboard to paste it further. 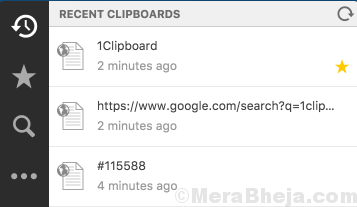 Clipboard manager tools help you to view all data that have been copied in the past few days. You can use this data again whenever you want to paste it again future. So, if you are looking for a powerful Clipboard Manager for increased efficiency on Windows helping you to increase your productivity, then here is a comprehensive list of some of the best clipboard managers for Windows 10. 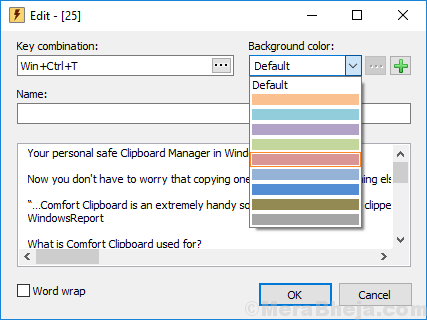 If you want to keep your clipped data always ready for use, then Comfort Clipboard could be a much useful tool for you. It comes packed with a lot of features compared to the other clipboard software. Its autosave feature is one of its many features that is indeed very useful in situations where you shut down your PC and need your clipped(copied) data from the previous session after reboot. Its available in two different versions of which the Lite version comes with limited set of fragments that can be saved in the clipboard history. The Pro version, on the other hand has endless slots along with other handy options like assignment of hotkey, data encryption, editing the text fragments, etc. 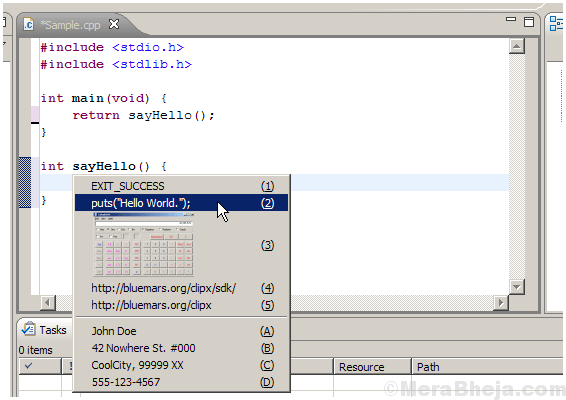 Ditto is an open source clipboard manager that ranks high in the list due to its vast set of features. It comes with an interface that’s easy to use. 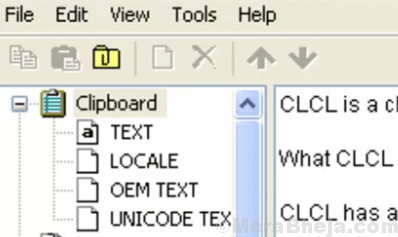 To use your saved data from the clipboard, all you need to do is to press the hotkey on the keyboard and list of data that you have copied recently appears. Now, to copy this data, you can simply use the keyboard shortcut and paste it right away. You can also simply select the recently used data by clicking on the menu. Ditto also offers an integrated search feature in case you are unable to find any data. ClipX is another free clipboard manager for Windows that has the ability to go portable using a simple argument for command line. It allows you to allocate hotkeys to the primary and secondary saved pastes from your clipboard list, however, you cannot allocate a hotkey to a certain phrase. You can cut and paste images and text files using this software. ClipX features around 6 plugins that offer added functionalities such clipboard lookup, color picker (dumps the color values into the clipboard automatically), and plugin that inserts sticky clipboard additions you want handy. 1Clipboard comes with the facility of fluid integration into Google Drive and to activate this integration, you must log into the Google account to access the Drive. But, if you simply want to try the clipboard, you can leave the step. You can dismiss the permissions by carrying out a security check of the permissions given to the third-party applications, despite the fact you allow Drive to access the 1Clipboard. Among its major features are, integration with Google Drive, smart search through clipboard contents using the keyboard detection, marking the important clips with a star so that retrieval gets easy, access to clipboard on all major platforms by Google Drive users, an attractive inter face, and easy to configure cloud-syncing clipboards in the category. 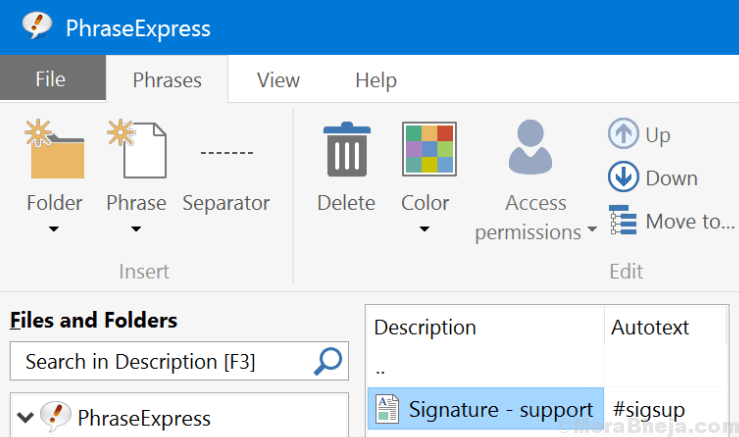 PhraseExpress, also known as “text completion app”, also works as a compelling clipboard manager. This tool is especially useful for those in need of text expansion. A text expander is something where if you write the same lines again and again, the feature can automatically insert your most commonly used text fast and easy. It can also predict when to add the text. Moreover, it’s a free software with no conditions applied for personal use. If you are a professional user, you will receive notifications reminding you that the software is not free to use at offices. Among its many features are, available in portable version, supports template generation, supports password protected (encrypted) file syncing across several machines, and highly customizable. If you are looking for something simple yet with advanced features, then ClipboardFusion can be your best bet. One of its features to look out for is text scrubbing. It’s an extremely handy feature especially for those who copy text from one application to another since it deletes HTML tags, formatting, and whitespace, with just the text left in the end. It also offers another useful feature called Text Replace that helps you to find and replace all examples of a certain text chain in your Clipboard manager. This software offers a wide variety of hotkeys to be able to easily scrub text or turn syncing on by simply using a single hotkey, thereby, make the process faster. Additionally, while it’s preview feature allows you to preview any image copied to the Clipboard easily, it also works with HTML color codes. Best of all, it completely supports macros, and even Clipboard syncing. 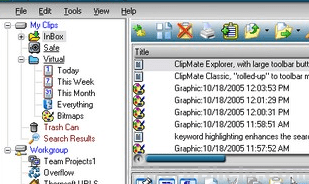 ClipMate offers the maximum ways for you to work with your clippings collection. While the Classic view offers you a toolbar along with drop down options, the Explorer view, is the expert management window where you can group your clippings and even edit them. Moreover, the ClipBar that’s built in straight into the Windows Task Bar and offers fast access to the list to your most commonly and recently used clippings. For those who wish to keep their clippings secure while not in use, it also features encryption. Among its other features are advanced paste that comes with structured data type tabs and delineation, and also in an integrated screen grab tool with chosen capture. 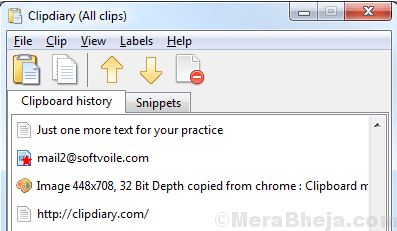 Another great addition to the list would be ClipClip which is completely free of cost and is a lightweight software. What sets it apart is its conventional design and the options to edit and modify clips when needed. What’s interesting is, it looks like any other Windows application. It makes the entire thing simple by displaying the clips right in the primary pane. If you want to edit a clip, you must double click on the clip and modify it as per your requirement. Among its major features are, option to save clips in text format, ability to create custom groups, integrated translator that translates clips from different languages, and so on. 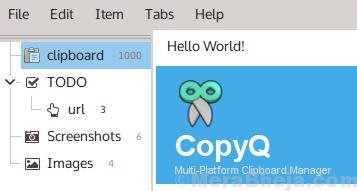 CopyQ is another reliable clipboard manager for Windows 10 that comes with searchable and editable history. It’s also known to support various image formats, command line control, etc. Among its many features are, storing text, HTML, images, and any other format, ability to customize tray menu, saving items in new tabs, quick browsing through items, sorting of items, create new items, delete or copy/paste function to different tabs, wide range of shortcuts across the system, instant pasting to focused pane from main window or the tray, complete customizable appearance, adding notes to items, and more. ClibCube is available for free and is extremely lightweight software that comes with an attractive interface. Best of all, it also works as a notetaking app in addition to being a Clipboard manager. It’s simple and easy to use application that’s also fast in performance. It allows you to edit your last entries easily so that you can make the required changes effortlessly. A simple application with equally simple interface, ClipCube is definitely a great alternative. The only downside we can find out is the absence of a search option in the Direct Paste pane. Although it’s a simple application, it’s pretty efficient in its job. Shapeshifter stands out from the rest by not featuring the option to store contents of the clipboard to hard drive. It rather saves the clipboard contents in the system memory, which means, you lose everything as you reboot your PC. It also allocates with any cloud storage option despite the other clipboard managers asking for configuring the file transmission over a network. Among its special features are, attractive Windows Aero theme, security as it does not sync with cloud storage and instead saves the clipboard contents to RAM, and support for multiple file formats for files, texts, and images. CLCL is another free Clipboard manager for Windows 10 that’s light in weight. The software features a decent user interface, and even though it does not feature a search function, it saves the data, texts and images in your clipboard. This is an easy to use tool and so that you can access your Clipboard history all you need to do is to press the keyboard shortcut and then select an option from the list. Alternatively, you can also select a keyboard shortcut and add it. ArsClip is a portable clipboard manager software for Windows 10 that’s also quite lightweight. It supports pictures, formatted texts, HTML and Unicode, while it also saves the pictures. What’s more? You can even edit your clippings to add key stroke emulation that helps paste text into forms and other complex arrangements. The software also provides support for switching between groups depending on the program. If you are only using a specific set of clippings as you are editing your blog, for example, fix them in a way so that they only appear when you are active in Firefox. Apart from offering image support, the tool also supports files that enables you to save the most commonly used files or the pasted files directly in the software. Clipboard Master is not just limited to the usual clipboard manager functions. While it offers enough options to manage your clips in a better manner, it also works as a handy screenshot tool, encrypted, and with flexikeys. Flexikeys is a feature that can auto-complete the directory names and pre-decided text templates quite intelligently, close to something like a text expander. This software also allows you to manage your clips in different groups same as the other tools in the category. In addition, it comes with all the necessary features such as the quick paste option, clip format converter, customizable keyboard shortcuts, preview for images, global context menu support, compelling search feature, filtering options, and so on. ClipDiary is a compelling clipboard manager for Windows 10 that allows you to record every single piece of data that’s saved in the Windows clipboard. It means that it allows you to easily extract any data that was once copied to the clipboard. Among its main features are, monitoring the clipboard and automatically storing the contents to the history of the clipboard, supports text links files, images and all other clipboard formats, offers marking of clips and labels important with stars, snippets for quick pasting (pre-used templates), clipboard history intact even after system restart, ability to retrieve saved data in clipboard history as and when you need, even after years, and supports password protected database. Ethervane Echo is a veteran clipboard manager that comes with fast search helping you to easily look up through your Clipboard history. Moreover, this software does come with some advanced filters in order to sort Clipboard history by time. Alternatively, it can also be sorted by used applications to arrange the Clipboard. Although it lacks some important features that is, no support for non-text data or the quick paste feature, but all thanks to its advanced filters and simple functionality, it’s definitely still worth the use. There are many more such clipboard managers that are perfect for Windows 10, however, if you are looking the best software that’s free to use with advanced features, these picks can be of great help to you.